How to see the coordinates? 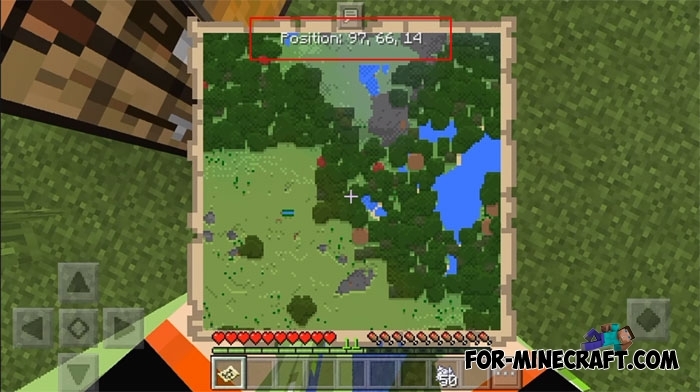 Coordinates can be seen only if you open the map. Get it or use the crafting recipe below and then open it. Pay attention to the top of the screen where your coordinates are located which are updated each step. This should help ardent travelers during long hikes.